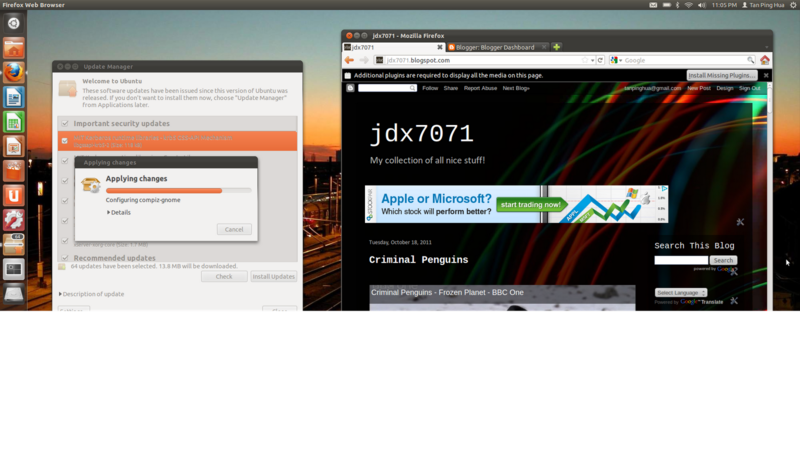 I just complete the installation of ubuntu 11.10 on my laptop, and currently writing this article using preinstalled firefox browser. For me I always like to try out different OS, latest Windows 8, ubuntu, and I even tried out hackintosh previously when I am still using desktop PC. 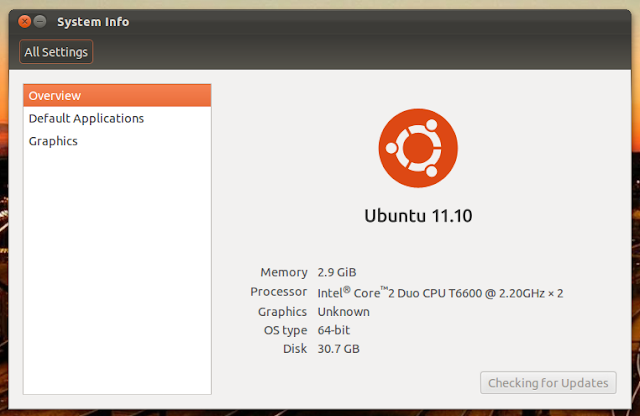 This new version of ubuntu, I will say the outlook is quite nice, with the new unity feature by ubuntu. For the functionality, I am still exploring, and hope that one day I will be able to write some application for ubuntu. I believe in the future, everyone will be using open source OS and open source application.